If there’s one thing all investment scams have in common, it’s the false promise of quick riches. When it comes to gold scams, they seem to succeed because gold always looks like a great investment. Institutions and individual investors, and even countries, are pouring their money in gold. And why not? These are uncertain times and gold has been a safe investment for over a thousand years. Taking advantage of the bad economic phase that many developed countries are going through, and people’s interest in investing in gold, online criminals came out with lucrative scams to victimize the potential buyers. 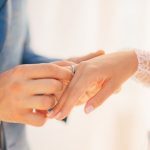 But not only potential buyers and investors are targeted, also unsuspected victims who were drawn into a gold scam by means of an online romantic relationship. You don’t have to go all the way to West Africa or Russia to get swindled, the scammers will come right to your email inbox or to your dating profile! Gold can be part of any dating scam or business fraud to entice victims. Private investigators in Ghana, for instance, say the targets of gold scams are mostly seniors who are increasingly vulnerable. Senior people have lifetime savings, they are usually less technology savvy than younger people, and are more susceptible to fall victim to online criminals and romance scammers because they feel lonely, or because they are more trusting. If they trust the person they are dealing with, and trust their money is well invested in gold, how can anything go wrong? Gold scams are common in countries like Ghana, South Africa, Russia, China and Indonesia, especially because they are also some of the world’s biggest gold producers. 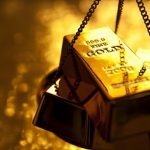 A lot of legitimate gold deals take place in these countries, but scam cases are generating even more profit than real gold sales. Nevertheless, international private investigation companies and law enforcement agencies emphasize that such scam and fraud cases can impact anyone and be operated from anywhere, not only the above mentioned countries. Even sophisticated hedge funds and investment analysts can be fooled. It pays to be skeptical when investing in gold. Always do your due diligence, and hire a professional if there is a lot of money at stake, or if the investment has any international or foreign country involved. Online criminals create fake websites backed up by phony testimonials and ads, guaranteeing high returns on investments. 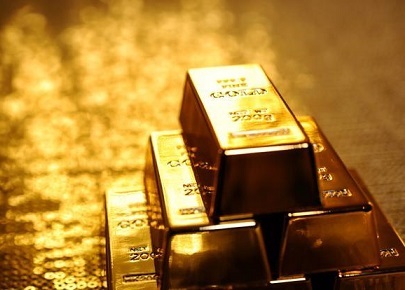 Companies claim to be miners or to have a storage facility of gold, or gold dust or bars that they are hoping to export at below the current market value. Is it too good to be true? Sometimes, the gold investment promise is just part of a whole romance scam scheme. Who wouldn’t want a beautiful and smart girlfriend loaded with a gold inheritance? The problem is many times there is no gold, and there is no girlfriend. Victims are requested to send money for several fees or to pay the for it in case they’re buying it. There is a promise that the gold exists, that it is saved for the client in a safe location. However, the gold doesn’t exist. Victims live with the belief that their gold is in good hands, and since this is a long time investment, they wait for years for the right time to re-sell it. By the time they realize they have been duped, scammers are long gone. How to Avoid Gold Scams? As with any investment, be skeptical of claims that promise the gain of large sums of money with little or no risk. There’s no such thing as a free lunch, especially in the financial markets. Hire a company background check investigation or complete international due diligence to verify if the company selling the gold, the shipping company, documents, and any other one involved in the deal are real and reputable. When possible, invest in gold bullion directly from a reputable gold seller. And last but not least, do not let your feelings get on the way when dealing with someone who claims they have a gold inheritance they want to share with you. An online dating verification by a professional will provide evidence to prove if they are being honest, or just want to take advantage of you.